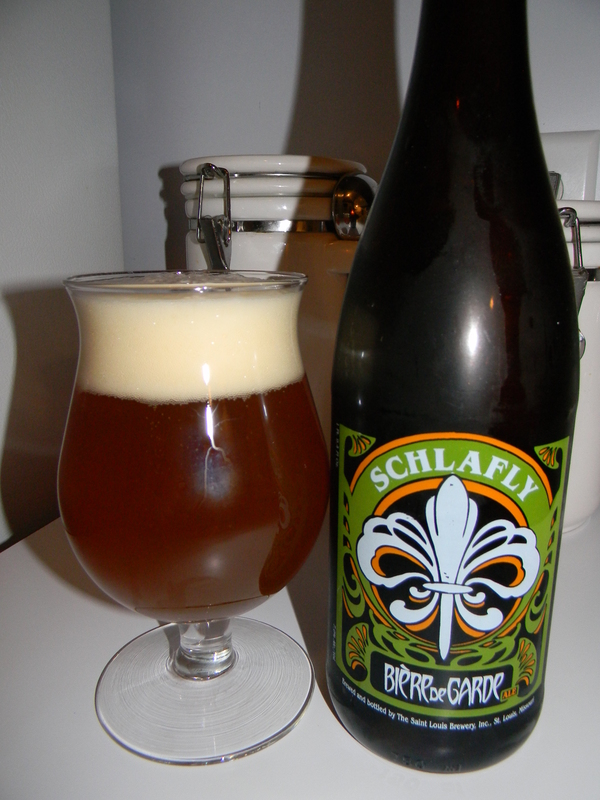 Schlafly | Beer Apprentice - Craft Beer News, Reviews, Interviews and Info. Hello everyone. For today’s craft beer review I’m going to be trying the Schlafly Grand Cru made by the St. Louis Brewing Company located in St. Louis, Missouri. Schlafly has been a brew that I’ve always picked up whenever a new bottle hits my bottle shop. They make a solid product, so they are worth the risk in my opinion. The website, schlafly.com, had this bit of information. Our Grand Cru rewards like dry champagne with aromas of passion fruit and exotic spice. This rich, golden-colored ale is fermented with a distinct Belgian abbey ale strain, then bottle conditioned with extra sugar and yeast for at least two weeks. Bottle conditioning creates the effervescent mouth feel, as well as the distinct Belgian lace prized in Belgian beers. Enjoy the complexity imparted by technique and craft. This brew came in a 25.4 oz. bottle and it had a 9.0% ABV. It poured a hazy orange color with a white, soft, fluffy, semi-rocky head. It was sized very well I thought. Plus, the retention time was adequate and the lacing seemed ok to me. Not a bad looking beer at all. The nose produced some hints of orange citrus as well as some banana fruitiness. Spices of clove and coriander mixed with some yeast and bready aspects made it smell a lot like a Belgian Tripel. As it warmed some floral tones were exposed along with a slightly tart smelling green apple and freshly cut grass. A light fragrance of alcohol and “funkiness” were found buried underneath when I took long, deep whiffs. This was a nice smelling brew. Very complex and bold in my opinion. The taste was very similar to the smell with only a few exceptions. The flavor added some peppery spice and the green apple appeared to be quite a bit more prominent. The orange citrus, banana, breadiness and yeast held true, while the funk remained relaxed. The brew opened up to release a nice, sweet malt and tartness and a pleasantly “sharper” spice. The mouthfeel was medium bodied. It was just a wee bit sharp, however it was also dry, semi-refreshing and crisp. The carbonation was lively and a light feeling of warmth was had from the high ABV. A good shot of flavor was left behind for me to enjoy between sips as well. Overall, I found this to be a very nice beer that’s definitely worth a go if you can get it. I would have no problem drinking it again that’s for sure. The relative ease of drinkability would make this a very welcoming beer to have during the Spring season. Schlafly, to me, doesn’t necessarily make the best beers on the planet, yet everything I’ve had from them has always been solid and true to the style. For some reason they always get overlooked in my area and I don’t know why. 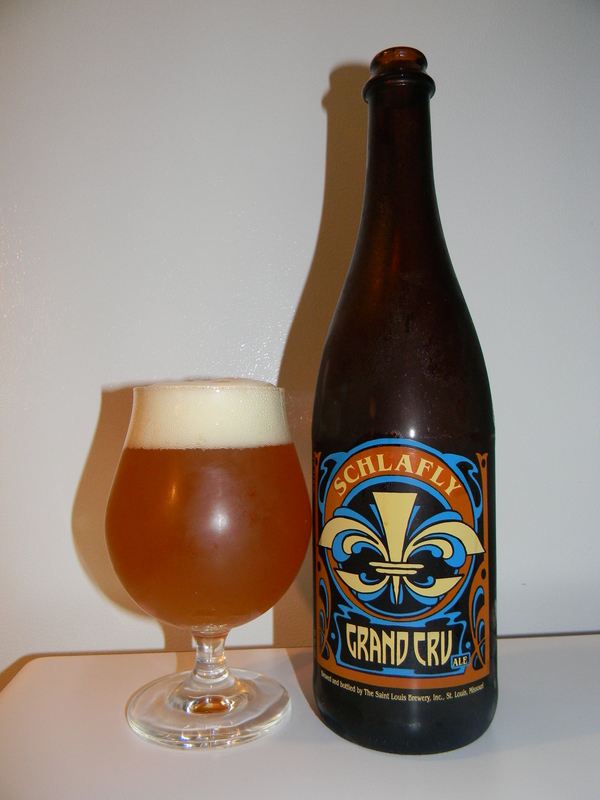 Either way, if you guys run across the Schlafly Grand Cru, pick it up and see for yourself. I’d be willing to bet that you’ll like it. Hello guys. 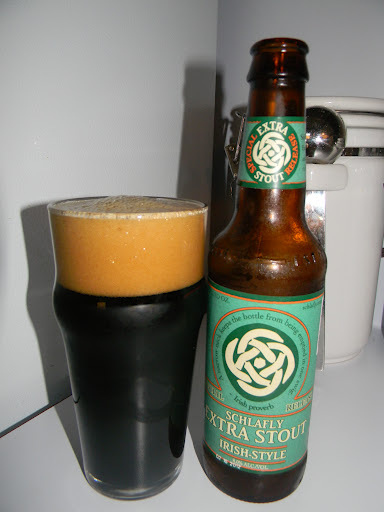 For today’s craft beer review I’m going to be trying the Schlafly Extra Stout (Irish Style) produced by the St. Louis Brewing Company located in St. Louis, Missouri. This is a beer that I’ve never tried from Schlafly. I’ve always thought that they make some pretty decent stuff and this bottle intrigued me when I saw it sitting on the shelf. Let’s see what we can find out about it from the website, schlafly.com. Our Irish-Style Extra Stout pours black and is an amped-up version of a traditional dry stout. The addition of both roasted barley and Dark Crystal malted barley give Extra Stout undertones of chocolate, molasses and dried fruit. The beer is generously hopped with East Kent Goldings to balance the sweetness from the malted barley. Sounds good enough to me. Time to pour. This brew has an 8.0% ABV and it comes in a 12 oz. bottle. It poured black with some ruby outlines around the edges and bottom of the nonic glass. It formed a khaki colored head that was soft, smooth, creamy, thick and nicely sized. The retention time was suitable and the lacing wasn’t too bad either. A nice looking beer honestly. The nose represented a well accentuated bouquet of roasted/toasted malts and grain. A slight, but sturdy coffee bean aroma as well as a touch of cream. A little bit of dark chocolate was discerned and a good touch of earthy hops too. It was somewhat sweet smelling and it was very “round”. Not bad at all. The taste was very liberal with more toasted breads and grain. A light touch of alcohol was found, however it was mostly noticed at the back end. Through the middle though some coffee grounds and dark chocolate led the way. The creaminess and hoppy profile that I found in the aroma seemed to fade quite a bit within the taste. In actuality, the flavor was not overly robust or “strong” throughout. It was decent though. Definitely a nice representation of the style. The mouthfeel was mostly medium bodied, although it did feel like it leaned a little bit toward the full side. It was acceptably dry, chewy and smooth with a touch of that chalky aspect. The carbonation was good and a bit of warmth was felt from the alcohol. A solid amount of flavor was on the palate after each sip too. Overall, I thought this was a pleasant enough beer. It’s a fitting and acceptable everyday Stout. One that would be a great brew to give to someone interested in exploring the style. It wasn’t too complicated or ridiculous and it was very easy to drink considering the 8.0% ABV. I don’t think I would ever turn it down if it was offered. It would be really nice to enjoy once the Fall and Winter months arrive. With that being said, if you guys happen to see the Schlafly Extra Stout (Irish Style) on the shelf at your local bottle shop, pick it up, give it a go and see what you think. I’d be interested in hearing other opinions, so feel free to leave a comment if you wish.